Latest research on Mirror Therapy provides further proof of the therapy working in stroke rehabilitation. Mirror therapy improves hand function in sub acute stroke: a randomized controlled trial published in the New Zealand Journal of Physiotherapy has shown. 40 patients with a severe stroke injury affecting one side of their body were randomly allocated into either the mirror group or the control group. Those in the mirror group received 30 minutes of mirror therapy in addition to their conventional therapy five days per week. During the mirror therapy sessions participants were asked to perform wrist and finger flexion and extension exercises and could only see the reflection of their non-paretic hand. At the same time as performing these exercises, they were also asked to try and do the same movements with their obscured paretic hand. 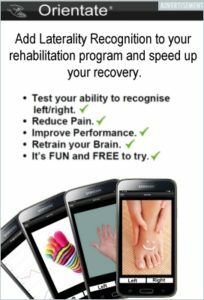 Results: The mirror therapy group showed a significant improvement in motor recovery. Conclusion: Mirror therapy, in addition to conventional therapy, improved hand function in patients with severe hemiparesis both post-treatment and at six month follow-up. 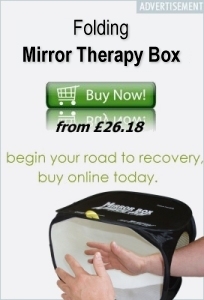 Mirror therapy is simple to learn & easy to undertake. It does not matter if there is little or no current function in the affected hand because of the stroke. This study showed that as little as 30 minutes per day of mirror therapy makes a significant difference but like all rehabilitation the more you do the better you get. Proof Mirror Therapy works, see the PDF (opens in a new window). This is the second time I have visited your Mirror Therapy proof of effectiveness | Mirrorbox therapy | mirror box therapy blog and found an interesting article perfectly matching what I was searching for so I decided to add your feed to my RSS Reader. Thanks for all your hard work.